A slight court wedding ring, medium weighted featuring a gently curved outer surface combined with a curved comfort fit inner surface. Shown in our main image in the 6mm width option. 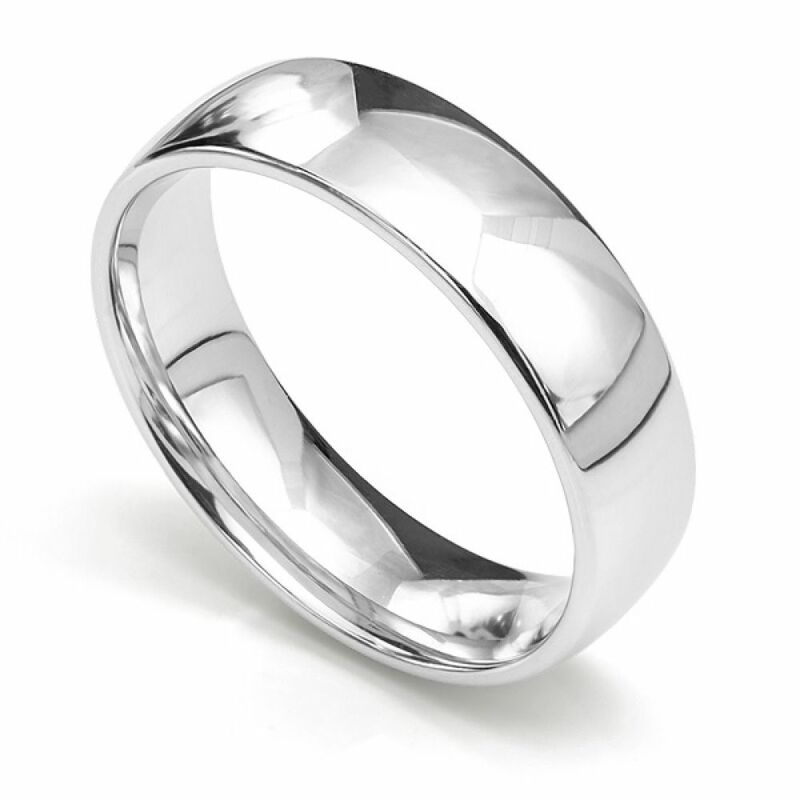 The medium weight slight court Wedding Ring is one of our most popular plain Wedding Ring designs. The shape has a modern flat outline with a smooth rounded feel offering both comfort and ease of wear. 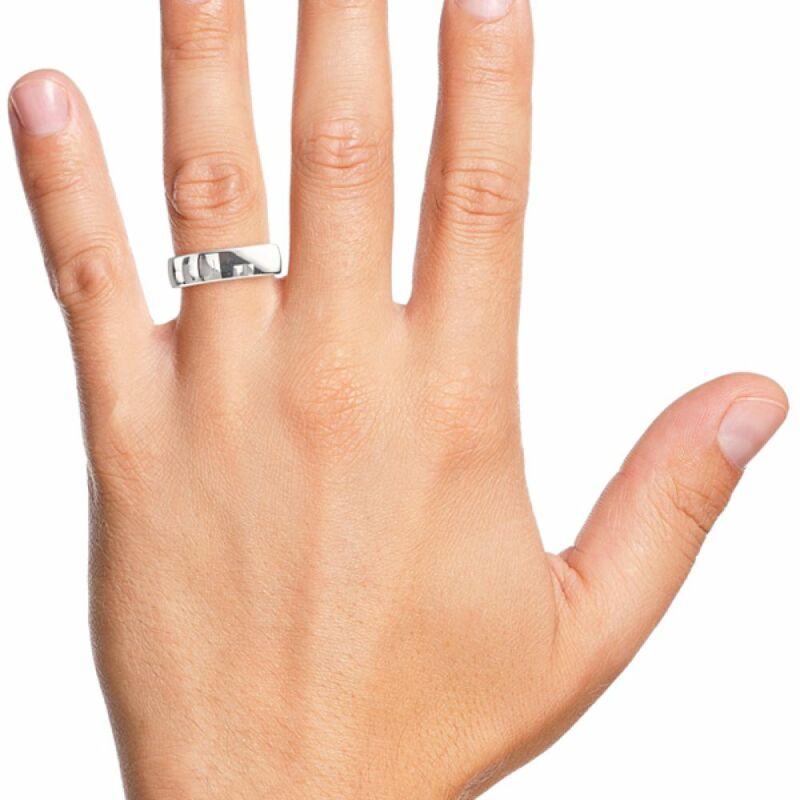 Worn in the correct size, this popular plain Wedding Ring glides on and off the finger with relative ease. Medium weight refers to the thickness of the band, a substantial 1.7mm in depth. We can create this Wedding Ring design in many combinations of width and precious metal. Choose your width from 2mm up to 8mm (wider options are available via our bespoke Wedding Ring service) and select from a wide choice of precious metals including 18ct White Gold, 18ct Yellow Gold, 18ct Rose Gold, 950 Palladium, 950 Platinum, Fairtrade 18ct White Gold, Fairtrade 18ct Yellow Gold and a full complement of 9ct Gold options. Timescales vary between 1-2 days and 2-3 weeks depending on whether your chosen ring is available from stock. Showing a variations of the slight court wedding ring (medium weight) RWD001 in widths 2mm, 2.5mm, 3mm, 4mm, 5mm and 6mm left to right. Examples of optional finish - brushed satin and mirror polished. 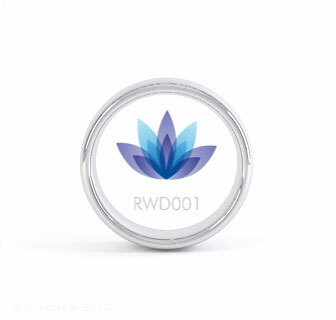 In addition to a great choice of wedding ring textures (see our patterned wedding rings section) we can finish your wedding ring with a matt brushed effect or a standard mirror polished finish. Choose your option within the menu above. Two medium court wedding rings shown in 5mm and 2.5mm widths, created in 18ct Yellow Gold. 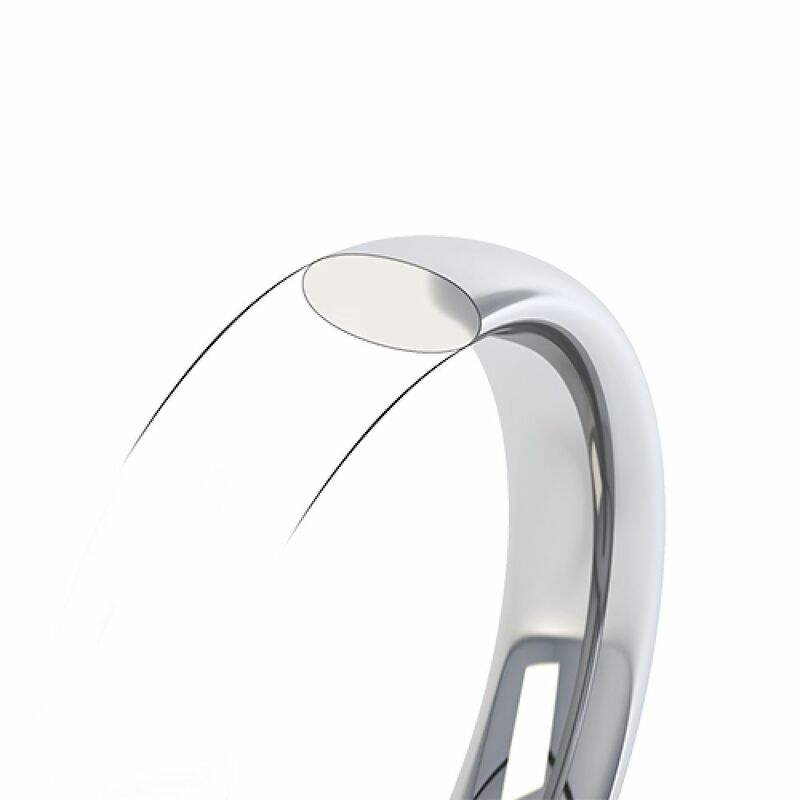 The wider band is shown here with a brushed satin finish applied to the outer surface. 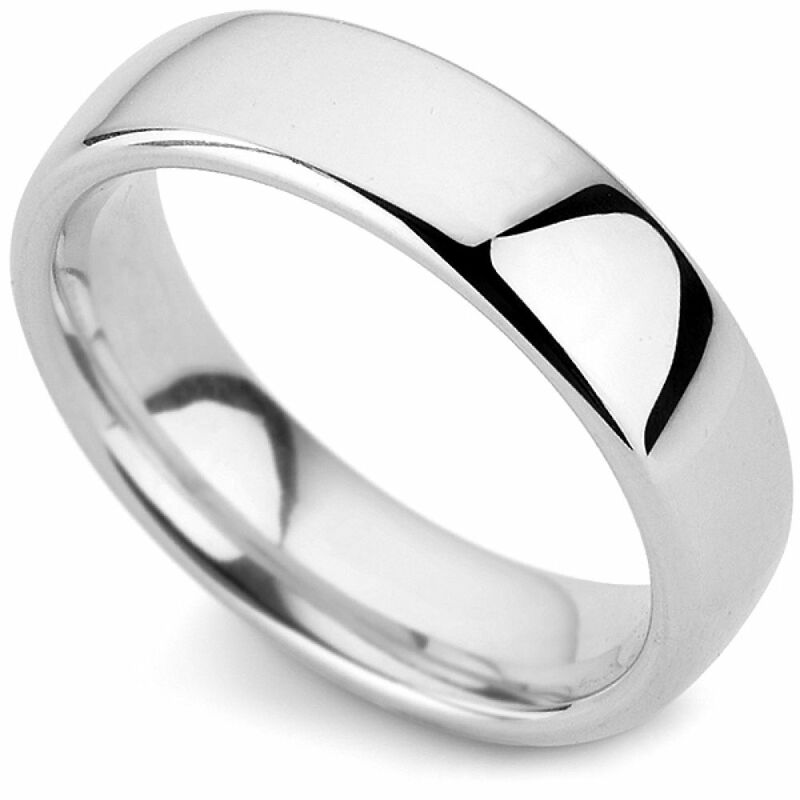 We have 3 variations of this plain wedding ring depending on the depth required. Mottistone, Osborne and Ashey represent light, medium weight and heavy weight versions of the same slight court wedding ring. Service rating : Everyone there was quick to respond to my questions via email. I would definitely use them again. Product : Fingerprint rings were unique exactly what my fiancé wanted. Service rating : Great customer service answered all the questions I had. Ring came promptly and looked better then I could have thought. Product : Perfect fit and looked better then I could have hoped. Great level of service and the information provided was excellent. Service rating : The service was fast and almost immediate (within a couple of hours at most). I had some questions relating my order, which was answered very kindly and any confusion was eliminated almost instantly. Service rating : The support staff were extremely friendly, helpful, patient and accommodating, which made the entire process smooth and stress-free. 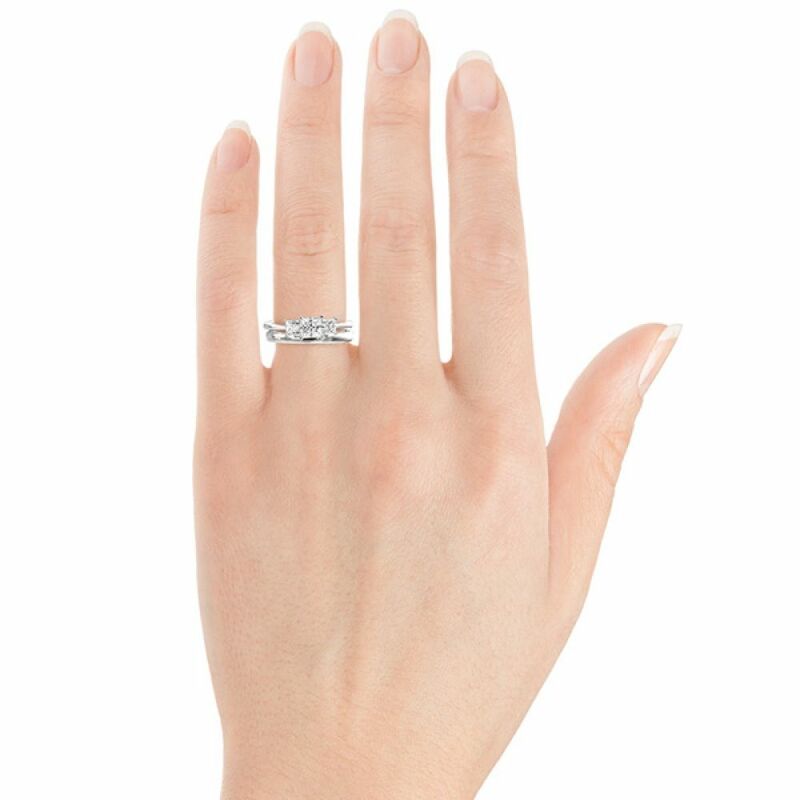 Product : The ring came just as described and the fingerprint was perfect! Also, the fit is very comfortable! Service rating :My ring took a while to get here because of the holidays. Once it got here the packaging was beautiful! However US to UK sizes ran a bit small in my case about one size and now I have to go get it resized. Overall, friendly service who get back to you within a day or two. Service rating :Excellent service again. And the ring arrived early - thank you! Product : Exactly as I expected! Service rating :The customer service could not have been better. I was kept updated at every stage. Product : Amazing ring and exactly what I wanted. The same specifications as I found in store for a discounted rate. Amazing service and speedy delivery. I ordered an engagement ring (where they set my own diamond) and because the service was so good, went back to get the wedding rings. Service rating : So friendly to deal with. Quick efficient service. Will always use and recommend serendipity diamonds. Product: Good value for money. Service from start to finish was second to none. Serendipity Diamonds added to the magic of our special occasion. Thank you. Even better than it looked on line. Extremely, helpful, very impressed with the service and advice I was given. Great helpful and personal service, Mark and Drina really are a pleasure to deal with! The website has a wealth of information too. A model for what online shopping should be. Fast service, good comma. Highly Recommended! I initially purchased my fiancee's diamond engagement ring from Serendipity Diamonds, and was so impressed by their friendliness, reliability and professionalism that I went back to them to purchase our wedding rings.